Respect Network: Data Slaves Revolt Against Lunacy? Maybe modern society is gripped by equally compelling absurdity? The pace of technological change is so rapid, and so intense, that we’ve all been swept up by the whole incredibleness of it all. In a wave of iPhone coolness and Facebook quizzes we’ve forgotten some of basics: our identities. This was brought sharply into relief by the NSA scandal. And is, loosely speaking, the message of Respect Network, a collaboration of over 70 global organisations that intend to help people and businesses regain control of their internet privacy. The launch conference, which takes place at One Canada Square, in Canary Wharf blends high-brow big picture thinking with technical and business insight into how it will all really work in practice. A lot of history, philosophy and art is covered, as the event strives to place the rise of technology, the web and privacy, firmly within in the wider socio-historical context. “The internet is 18 years old,” explains Don Searls, author of “The Intention Economy”, now the time has come for it to “learn some manners.” The web is like many things which have gone before he continues. Take nuclear energy, what is the first thing you do? “Blow up some cities,” after that you can “give people some power” to heat their homes. “When people ask what it is,” Drummond Reed Founder and CEO of the Respect Network explains that he always shows a picture of Edward Snowdon. However, the inspiration itself was Facebook. We might be firmly in the midst of this particular social craze, but put bluntly, there is something mildly bonkers about the fact that about 71% of online adults are signed up to a site which not only owns their data, but can change the terms and conditions at will. The idea of this network is to fundamentally change the data sharing model. 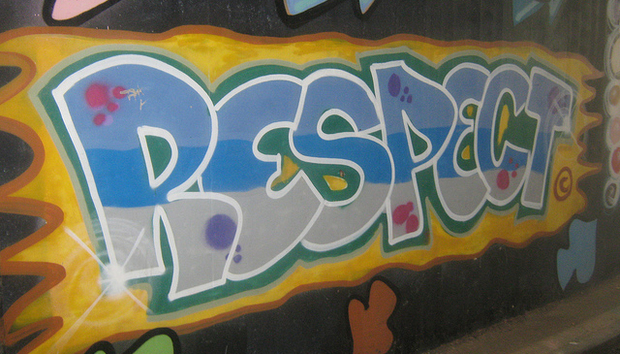 Instead of a centralised framework, where we all sign up to multiple companies like Facebook, we would create our own individual, fully secure cloud, via the Respect Network. This would have its own unique cloud name and strictly one cloud would be allowed per user. All sharing would take place via P2P connections and no data would be stored centrally. Over time the validity of the network would be verified by the community, via a rating system, like you see on eBay. The principle of the network is three-tier. On the technical side: everyone has a personal cloud from the provider of their choice. “XDI protocol sends and receives messages encoded in JSON documents,” adds Kelly. On the legal side: rather than a straight click “yes” to accept a company’s terms and conditions, this offers a common contract: The Respect Trust Framework. Thirdly, “and arguably, the most important innovation,” says CEO Drummond Reed “is the business model.” Rather than based on advertising, this works on a similar principle to credit card networks where a transactional fee is leveraged on the relationship. In this case: the network, the cloud service provider and you, all claim a third. This doesn’t come in the form of actual hard currency into your bank account, but by way of “credits”. The big idea here is that at the moment marketing is still a very smash ‘n’ grab, spam orientated affair. It encompasses stalking people round the web, collecting their data and targeting them with things they might conceivably want. But as Searls is keen to point out “we’re not shopping all the time. He’s convinced therefore, that a bottom up consumer revolution is on the brink of taking place. This is hard to picture in practice, but Dan Blume, Chief Security & Privacy Architect provides the example of a healthcare network. In this scenario your records might be stored in your cloud and accessed by secure P2P transfer by your doctor. However, you might also enter into a personal relationship with a local grocery store or pharmaceutical supplier. These would have access to certain parts of your data in order to better manage your condition, but it would all be controlled by you. Liz Brandt, CEO of Ctrl-Shift sees huge potential is Personal Information Management [PIM]. This is an area which covers a vast range of tools and services: from auto-population of forms; through to technical systems, which help make difficult decisions, such as mortgage choices. Her company has just produced a new research report: ‘Personal Information Management Services: An emerging market analysis’ which tries to provide real-life context. This calculates the future scale of this, in the UK, once the market is mature (so any number of years away) at 1.2% of the entire economy. Whatever the wider potential, this network has a long way to go and many of the features are not ready yet. At the moment the organisation is in the initial phase of launching a campaign to get a million individual members in at a cost of $25 each, “people trust something more if they pay for it”. The business version will launch in the Autumn, and this London event is the first step of a global publicity tour. « Can an Apple HealthKit Today Keep the Doctor Away?